Nobody’s a better fit for that gig. Young, 87, was a voting rights organizer in Georgia in the early 1950s, marched from Selma with Martin Luther King in 1965, and was with him at the Lorraine Motel in Memphis in 1968 when King was assassinated. 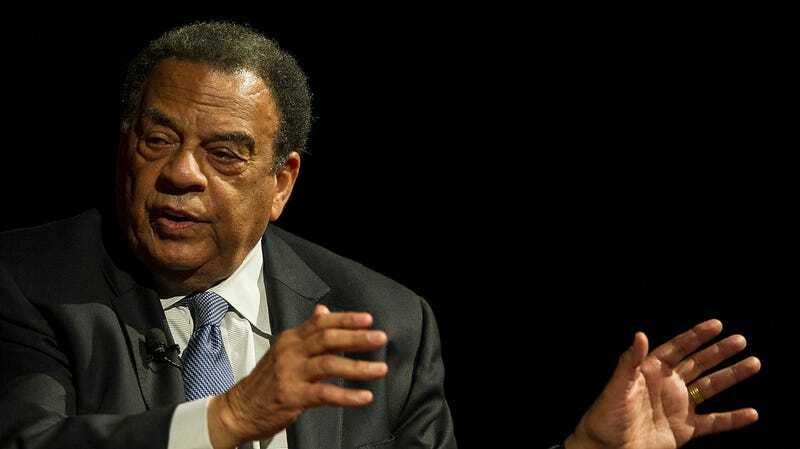 Young went on to get elected in 1972 as the first African American congressman from the Deep South since Reconstruction, be appointed by President Jimmy Carter as UN ambassador, and serve a couple terms as mayor of Atlanta. But as the confab commenced, Young’s mind was briefly about 1,200 miles away, and on a sporting matter. LBJ Foundation president and summit emcee Mark Updegrove asked Young to elaborate on a recent quote in which he said that poor white people “blame their poverty on our success.” Young began his response by instead weighing in on the NCAA championship game between Texas Tech and Virginia that would tip off about two hours later in Minneapolis. Young indicated he’d be rooting for Virginia, and incited guffaws from the crowd by explaining why.